Earlier today was Day 1 of the Season 3 Invitational! The 32 players that proved themselves over the span of our regular season have since been reduced to the top 8. Who made it and who has the easiest road left ahead of them? 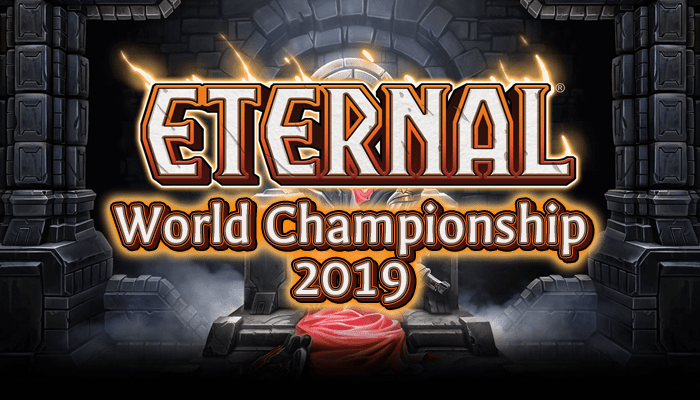 The RNG Eternal staff made predictions on who would make it this far and a couple of us have made brackets for the rest of the tournament. How accurate were their predictions and who do they think will win? And remember, players, these brackets are just for fun – or maybe it’s best to consider them as us egging you on to prove us wrong! The remaining Top 8 Decklists can be found here. Yep, most of the remaining field is Big Combrei… but the other half of the field are decks that want to pray on Big Combrei. But the remaining Big Combrei decks are mostly the ones that didn’t end up skimping on anti-aggro cards – though SkeeJay’s trimming of Valkyrie Enforcers might bite him! Bold picks remain in WB, struck out picks have been eliminated. 4/8, with 3 of them being in the WB. Am I allowed to call this a tiebreaker, that I got more WB accurate than Bairdrus? And 2 of my players were Top 12! 4/8, with 2 of them being in the WB. 3/8, with 1 of them being in the WB. Ace’s keen eye for CCG players seems to have paid off! 2/8, with 1 of them being in the WB. 1/8, with 1 of them being in the WB. Things don’t look too good for the bossman. rek was fired for the above comment, then rehired to finish the article. AngryChicken has maintained his hot streak, I think he’s favored in his final match before finals, and he has a ton of respect for Aggro decks in his maindeck and side. I think his hot streak stays hot, though I do think either Sarius or Unearthly could reset the bracket. Speaking of Unearthly, I think if he only faces Big Combrei on his way to Loser’s Finals, he can make it – however, his anti-Combrei tech doesn’t fare well in the aggro mirror. aReNGee also has faith in AngryChicken to seal the deal on his hot streak, but now that he’s seen Unearthly make Top 8, he thinks he can make it all the way to the finals!